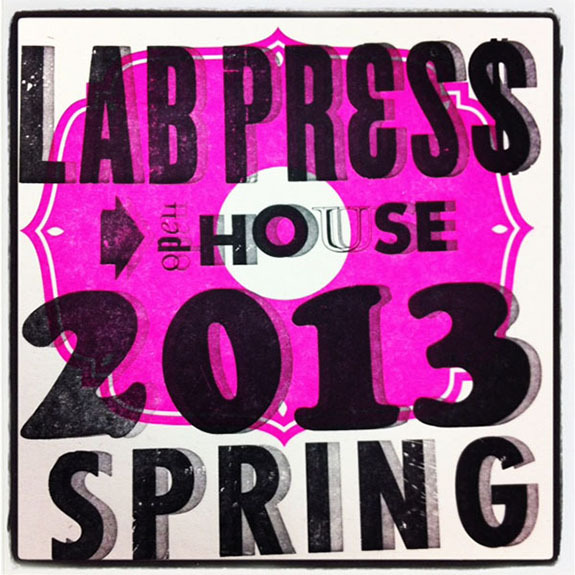 Last weekend was the Spring 2013 Open House for Continuing Education. It was a lot of fun and we had a great time here in the Lab Press! Prospective students came in and were able to meet the instructor, Gerald Lange, for the Introduction to Letterpress and Digital Letterpress. They also got hands on demonstrations on our Vandercook Presses AND (bonus) left with their own letterpress print! In addition to offering fantastic letterpress classes, we also offer Introduction to Book Binding, taught by none other than Otis’ Rebecca Chamlee! 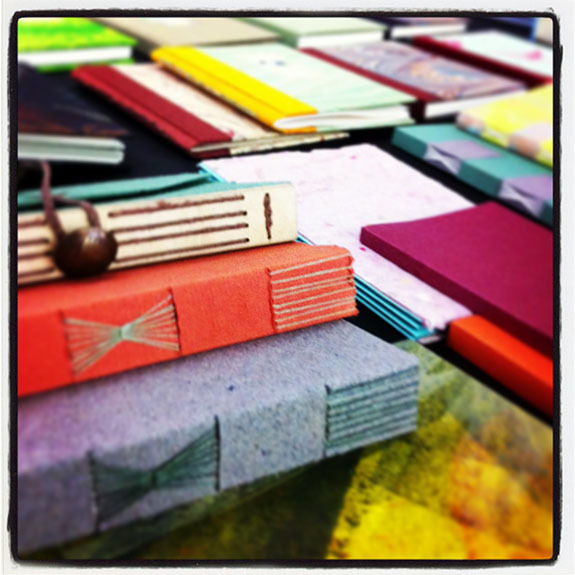 You will learn how to make beautiful hand bound books in this class. Feeling like you missed out? Well, don’t despair because there’s still time to register for these fabulous classes! Hurry though because classes start on Saturday, February 2, 2013.